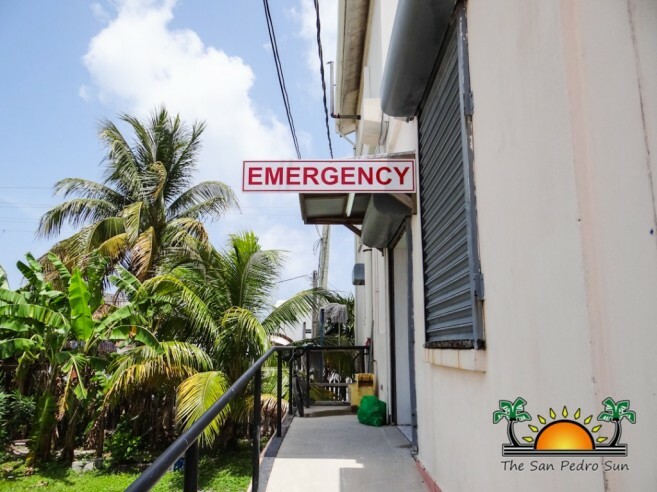 Despite being the fastest growing municipality and prime tourism destination in the country, Ambergris Caye is without a proper medical facility. The island lacks most of the medical services offered to other municipalities across the country, leaving residents and visitors vulnerable when the need arises for emergency medical care. Talks of the construction of a community hospital in San Pedro Town have been ongoing as early as 2011. In April 2012, newly-elected Mayor Daniel Guerrero said that a parcel of land had been identified for the construction of the hospital. He said that the land, located opposite to Bowen and Bowen Crystal outlet on Blake Street, was in the hands of the Ministry of Health (MOH), who was then tasked to identify funds for the building. However, five years later, nothing has come out of that statement, and authorities at the MOH have declined to speak on the matter. After the hospital plans went dormant, the main focus became the Dr. Otto Rodriguez San Pedro Polyclinic. In April of 2014, the polyclinic received three ‘tuk-tuk’ ambulances that were a donation from Dubai, United Arab Emirates. The small, three-wheeled motorcycle-type mobiles were equipped with seating and a stretcher to transport patients for healthcare services. However, despite this upgrade in emergency response for the island, the mobiles were never put to use. Marin’s statements were also backed by Minister of Tourism and Civil Aviation and Area Representative for Belize Rural South, Honourable Manuel Heredia Jr. During a local morning show that same year, Heredia announced that Government was moving one step closer to completing a loan application in order to acquire funding for a hospital. He also added that the Ministry of Health had done its due diligence. “All the necessary works have been done. I believe it is a project that will see the construction of a state-of-the-art hospital for the island,” said Heredia. However, no timeline was given as to when the project would start, just that the Cabinet was fully engaged in the process. According to Heredia, the new hospital would be on the same grounds that had been identified by Mayor Guerrero in 2012. 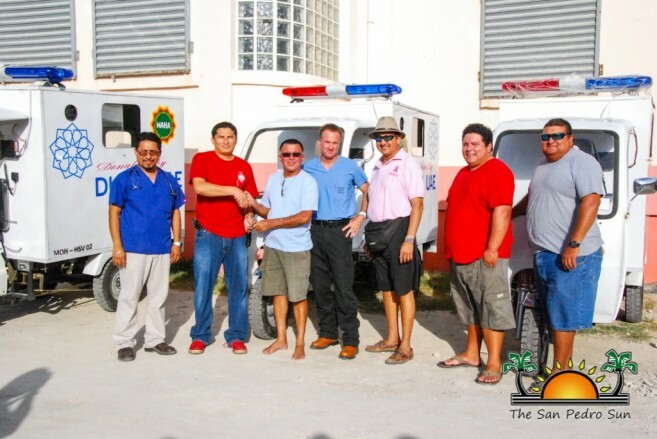 The Dr. Otto Rodriguez San Pedro Polyclinic II officially expanded its service to offer a 24-hour emergency facility in February 2015, but in most cases they are only equipped to stabilize patients until they can be transported off the island. While San Pedro continues to wait for major improvements in their medical infrastructure, the mainland health needs are better served. The polyclinic at Independence Village, Stann Creek District has been equipped with ambulances, laboratories and emergency services. Other health centers in areas like Dangriga Town also count with improvements in their medical services and equipment, and are now providing surgical services, such as advanced eye surgeries. In recent years, the population of Ambergris Caye has surpassed that of Minister Marin’s hometown Corozal. Yet, Corozal counts with a community hospital equipped with over 30 beds, offering primary health care to its residents. The facilities there include ultra sound, X-ray services, blood storage, emergency section, a maternal unit, a morgue and ambulances as well. There are several doctors, nurses and auxiliary staff on rotation. A surgical ward is now available which serves the town and the communities surrounding it. Other centers in Libertad and Concepcion have been equipped with examination and consultation rooms and an asthma bay area. 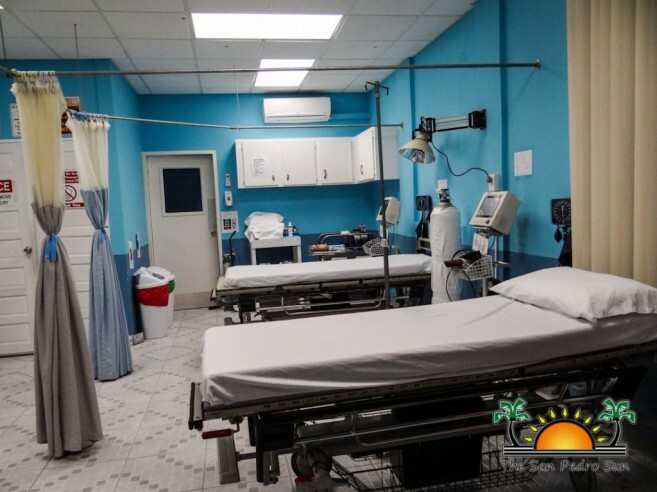 The facilities are also equipped with a sterilizing room, a waiting area for patients in addition to the ancillary facilities, public bathrooms, outdoor emergency showers and parking. In comparison, the polyclinic on Ambergris Caye continues to experience limited staff (doctors and nurses). Despite the spacious structure, the clinic struggles to provide proper medical attention and can only provide limited medical care such as general observation of patients, and limited laboratory, pharmacy and dental services. The clinic has neither a morgue nor an ambulance to address emergencies and casualties. Up to now, all patients are forced to seek medical attention in Belize City or elsewhere off the island, which is time consuming and costly. This delay in treatment has proved fatal in the past when seeking emergency transportation off the island or when locating immediate (private) medical care. 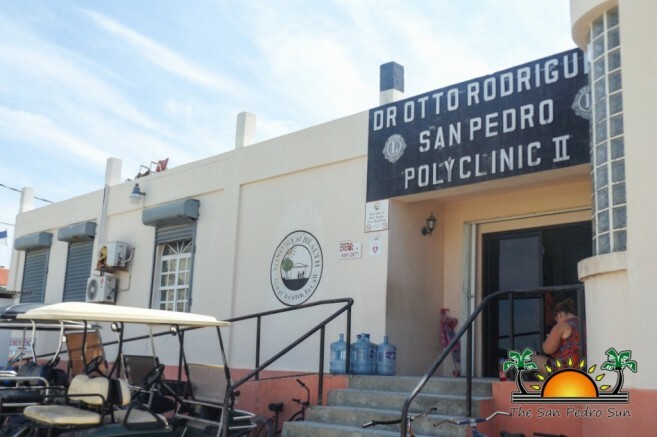 From time to time the island’s polyclinic receives donations from the San Pedro business community. Thanks to these kind gestures, the clinic has been able to acquire much needed supplies and equipment. One of the major acquisitions was an Electrocardiogram (EKG) machine, which took over two months to clear at customs in Belize City. It finally arrived on the island in June of 2016 and was installed a day later. The clinic also did an expansion for an X-ray room and later acquired an X-ray machine. However, this was possible after the Belize Tourism Industry Association (BTIA) Ambergris Caye local chapter propelled the MOH to improve the level of health care being provided by the clinic. After several meetings, the MOH agreed to provide the X-ray machine, if the BTIA could foot the bill of the construction of the room. On Monday, July 8, 2013, the x-ray machine were officially installed. Many residents believe that San Pedro and its residents deserve better, since a large amount of the Government’s revenue comes from the tax payers on Ambergris Caye. Islanders are hoping that the present Government’s administration will meet their promise to provide San Pedro with a hospital as it was stated in their manifest prior to general elections in 2015. However, in the upcoming budget for the new fiscal year starting April 1st, cuts were announced for several Ministries, including Health. According to this announcement from the GOB, and with the need to find addition funds to finance the national budget, no funds have been allocated or assigned to start building a hospital in Ambergris Caye.